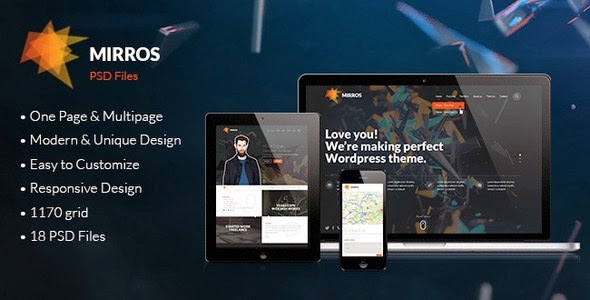 MIRROS is a unique and creative PSD template with clean and modern design. It is perfect choice for your corporate agency, creative studio or for portfolio. It can be customized easily to suit your wishes. Item Reviewed: Creative One Page or Multipage PSD Template 9 out of 10 based on 10 ratings. 9 user reviews.